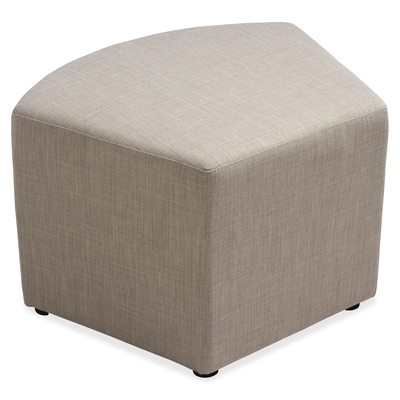 LLR35859 : Lorell Lorell Fabric Quad Ottoman - Plywood16.8" X 16.8" X 18"
As Part Of The Lorell Collaborative Seating Collection, This Inviting Quad Ottoman Helps You Create Opportunities For Casual Seating In Public Areas. Arrange Several Of These Modular Lounge Pieces Together. This Upholstered Seat Can Also Be Used As A Side Table Or Foot Stool. Durable Fabric Is Both Attractive And Practical For High-Traffic Areas. Design Also Includes A Sturdy Plywood Frame And Adjustable Leveling Glides On Feet..
As Part Of The Lorell Collaborative Seating Collection, This Inviting Quad Ottoman Helps You Create Opportunities For Casual Seating In Public Areas. Arrange Several Of These Modular Lounge Pieces Together. This Upholstered Seat Can Also Be Used As A Side Table Or Foot Stool. Durable Fabric Is Both Attractive And Practical For High-Traffic Areas. Design Also Includes A Sturdy Plywood Frame And Adjustable Leveling Glides On Feet.